Today Smartwatch is no longer only for adults because of the improvement of our modern technology. Now, there are the features are included into Smartwatches that your kids can easily handle. Wow! That means Smartwatches are available now also for your kids. So, interesting. Isn’t it? So, what are the best Smartwatches for kids that could be perfect and easily purchased? Oh, yes. Here below, I’ve listed the top 10 best Kids Smartwatches for you to find out the perfect one for your kids as a gift! Most of the popular Kids Smartwatches are designed to be used as easy that your kids can easily operate as their needs. Mainly, the features are a clock, fun activities, games, action challenges, alarm clock, camera and video, voice recorder, calendar, etc. As well as, some of the Kids Smartwatches are even smart that your kids can make a call or send an SMS to you using Bluetooth or SIM Card. Some of them also feature GPS, so your kids couldn’t be lost. Now let’s have a look at the list of Best Smartwatches for kids right now in 2018! 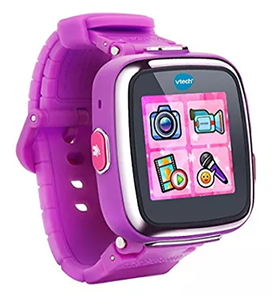 The VTech Kidizoom DX is one of the most popular Smartwatches for kids with more fun games and activities. Mainly, it features 3 fun activities, 5 games, 3 action challenges, and a motion sensor. It’s splash and sweat proof for the everyday play of your kids. Most of the kids can use it easily and they also love it because of its colorful gorgeous design. It’s integrated a camera with photo editing effects and has more memory. So, your little kids can take tons of pictures and capture videos when they’re walking, playing, or having some fun! It also has a voice recorder, the alarm, timer and stopwatch, and 2 new tools including a calendar feature and a calculator so your child can work out simple addition, subtraction, multiplication and division problems. Digital and analog display of this cool kids smartwatch comes with 50 plus clock face designs. 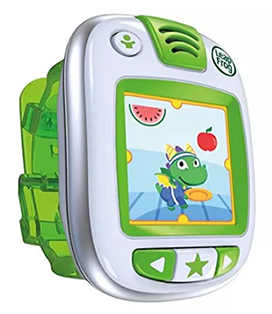 Also, includes a rechargeable Lithium-Ion battery and micro USB cable to upload photos/videos, VTech Kidizoom DX is more than just a watch. 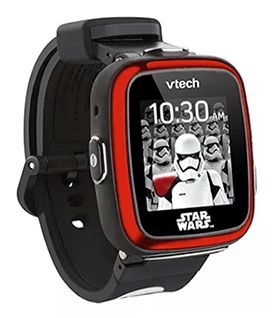 Star Wars Stormtrooper is another popular Kids Smartwatch from VTech comes with a bright, colorful screen. It allows your kids to take pictures and videos and explore their creativity with Star Wars photo effects. It features 30 digital and analog Star Wars clock face designs, so your kids can customize the smartwatch to their preferences. As well as, this VTech Kidizoom Smartwatch also includes a voice recorder with voice changing effects gives you the ability to sound like you’re a part of the Star Wars galaxy. It also lets your kids track every step of your journey using the Pedometer app. And, includes Micro USB Charger for charging the battery. Besides that, you can use the USB cable to transfer pictures and videos to a computer. Even, splash and sweat resistant but not meant to be submerged or taken into the shower or bath. In conclusion, this is not only one of the best Smartwatches for kids but also a purely innovative kids electronic learning toy. VTech Kidizoom Smartwatch DX – Special Edition – Red Flame is the 2nd generation kids Smartwatch. Comes with 2 changeable wristbands, one in color Royal Blue and the other in Red Flame, a special design changeable wristband – Easy wristband change in 3 steps! That’s why it’s looked so amazing and stylish. It lets you kids pass their time with more fun games and activities than ever before. It has more memory and includes a camera. So that your kids can take a lot of photos and videos (Photo Resolution 640 x 480 pixels, and Video Resolution 320 x 240 pixels). The new motion sensor that your kids will love using to explore three action challenges! This watch helps kids to learn how to tell time by letting them choose between more than fifty 3D digital and analog displays. As well as, it also includes the alarm, timer and stopwatch, two new tools – calendar and a calculator so your child can work out simple addition, subtraction, multiplication and division problems. With the included micro USB cable your child can also upload photos and videos as well as recharge the battery. 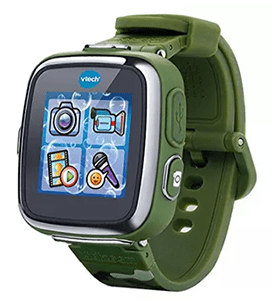 Certainly, this VTech Kidizoom Smartwatch DX is special that’s great for your kids to become more smart and creative. It has Another Special Edition – Floral Swirl, which is also cool. LeapFrog Leapband is one of the best Smartwatches for Kids that designed and made for tracking the activities of your kids. It’s the first activity tracker, full of fun and amuses. It contains pre-loaded 50 active challenges that get kids moving. Like “Pounce like a lion”, “marching like an elephant”, wiggling like a worm, and much more. The more your kids move, the more points they earn to unlock new pets and pet toys to play with. Your children can easily personalize their very own pet pal for an active playmate who’s always on hand. As well as, it also includes Parent controls option on “Leapfrog Connect” that makes it easy to set play times, challenges and more for your kids. In one word, LeapFrog LeapBand could be the perfect motivation to get kids moving, because it encourages active play and healthy habits of your kids! Orbos’s kids Smartwatch is a full-featured Smartwatch that teaches Your Young Ones the basics of timekeeping, like Reading Time while providing hour-less entertainment! It comes with smart CAPACITIVE TOUCHSCREEN that features Vivid Display & Highly Intuitive Menus That are Perfect for Little Learners. With its Bluetooth feature this Smartwatch Connectable With a Cellphone. So, your kids can use their Watch to Answer PHONE CALLS from Grandma. (Watch can be used only to answer calls and not to make calls.) 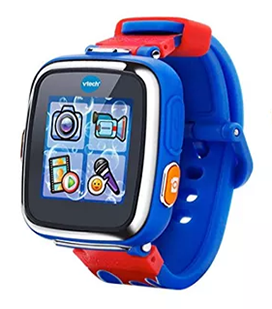 This Orbo kids Smartwatch includes 3 games that sharpen memory, reflex, musicality, and other fun features such as the talking hippo, photo effects, voice recorder, calculator, and much more. As well as, it also includes a built-in camera for taking photos and videos, 1GB Memory that expandable to 32GB. Equipped with Long-Lasting Internal Battery and micro USB cable that easily charges the smartwatch from your desktop/laptop computer. It’s the super adorable personal gadget that helps your little one discover the wonder of time with fun and excitement. One of the best Smartwatches for kids with beautiful design comes from well-known smartwatch brand the VTech. It comes with more fun games and activities than ever. It features 3 fun activities, 5 games, 3 action challenges, and a motion sensor. As well as, splash and sweat-proof for the everyday play of your kids. 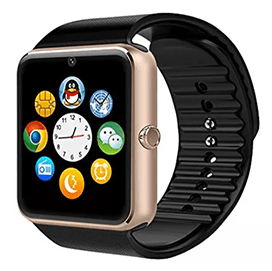 This 2nd generation Smartwatch has a built-in camera with photo effects and has more memory. So, your little kids can take tons of pictures and videos when they’re walking, playing, or having some fun! This Smartwatch includes a voice recorder, the alarm, timer, and stopwatch. 2 new tools including a calendar feature and a calculator so your child can work out simple addition, subtraction, multiplication and division problems. 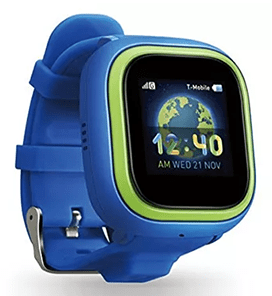 The Digital and analog display of this best kids smartwatch comes with 50 plus clock face designs. Also, equipped with a rechargeable Lithium-Ion battery and micro USB cable for easiest charging and uploading photos/videos. Overall, this is more than just a watch, you can give it to your children to make them more creative, excited, and happy always. Another Vtech’s Online Exclusive Smartwatch in pink is available with the same configuration that you can check out. Garmin Viofit JR is the perfect Kids Smartwatch with a compatible app to manage your kid’s activity easily. Using the app of the watch, you can add multiple children and see their steps, sleep, daily activities, and chore data when it automatically syncs to your smartphone. You can assign chores from the smartphone app and kids will see on their bands they have new jobs to do. As well as, you can find out how many reward coins each child has, and even invite the whole family to compete in a daily step challenge — all from your Apple or Android smartphone. 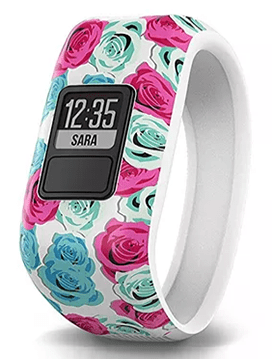 It doesn’t need to recharge because there is a built-in replaceable battery (1+ year life) and it got 1-piece band that kids can slip on and off. Overall, It’s really very cool, stylish, comfortable, durable and swim-friendly. You can choose it for your kids to help them to be inspired to do things better. If your kids go to school and going to be young very soon, then Willful SW016 Bluetooth Smart Watch could be the right choice to give them. This Kids Smartwatch can be used as an independent phone to make calls and send/reply messages by inserting a SIM card. As well as, by inserting a TF card (support up to 32GB) your kids can take pictures, play music and record voice. Even, you can also sync and check sports/sleep data and find the watch via the app. On the other hand, iPhone can’t download the app so functions are limited, but iPhone can connect to this watch via Bluetooth to make/answer phone calls and play BT music. Give it to your kids, when they go out of the home, you’ll be able to stay in touch always with them. This Kids Wearable Smartwatch is the new version of TickTalk which is a truly complete wearable cell phone and locator for kids 4-12 years old. This newest version comes with a high-resolution touch panel, bigger icon design, touch and swipe to control, easy to use for kids. It uses WiFi + GPS + LBS 3-way locators to provide the accurate location information for indoors and outdoors. Also, it’ll report the current location to the App and update on the map, and the TicTack app is compatible with both Android and IOS. It’s able to work independently without connecting to other mobile devices. So, your kids can make or receive a phone call by just clicking the icon on the watch interface. It allows you to find out where your kids are, call them, send voice or text messages to them and even hear what is going on around them! Is there something happen to your kids, they will be able to call you for help. Definitely, it’s one of the best Smartwatches for kids that lets you be able to find out where your kids are and what is happening to them. 0.3 Mega-Pixel cameras, 256MB internal memory, plus an extra 32Gm of memory with the micro sadhu card slot, USB cable, and a Rechargeable lithium-ion battery. Equipped with a Micro USB slot for charging your watch with the included USB cable and a Micro SDHC Card Slot to add up to 32GB of extra memory. It includes productivity tools like an Alarm clock, calendar, contacts, calculator, an Activity Tracker and or.much more! Also, there are some entertainment features such as music player, camera & video, messaging, and photo editor. Kurio Smartwatch is also packed with over 20 games & apps. So, your kids can play games in single and 2-player mode or use the built-in motion sensor to play active games. 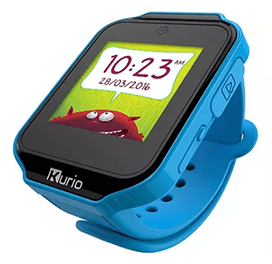 Using Bluetooth technology children will able to send messages and make phone calls to other Kurio Watches & Android devices. Even, they can send pictures, emojis, Doodles, texts and more through the watch’s messaging features! And, most importantly, parents can enter critical information in the In Case of an Emergency app, the app is easily accessible from the home screen. So, these are the best Smartwatches for kids with the best functionalities that you can compare to purchase. Every each of the Smartwatches above helps your kids become more smart and active day by day. Actually, there is much more benefit still waiting to be revealed by your kids. It’s your kids for whom you’re living, struggling, and still dreaming. So, if you’re thinking about to boost the activity of your kids, or if you’re worried about safety when they out of the home. Then, Kids Smartwatch is the perfect option. Just give it to your kids to keep them safer and to make them smarter and creative day by day. Thanks a lot for your words Anwer Ashif, me too want to keep this blog alive among us. Pray for that. Kids will definitely loved these. Nice information. Take a look around my app that comes with self destructing message feature. wow thats a cool collection. I should get vtech kidizoom for my daughter. thanks for the informative article.